Royal Enfield 650 aftermarket exhaust video - Are these loudest? 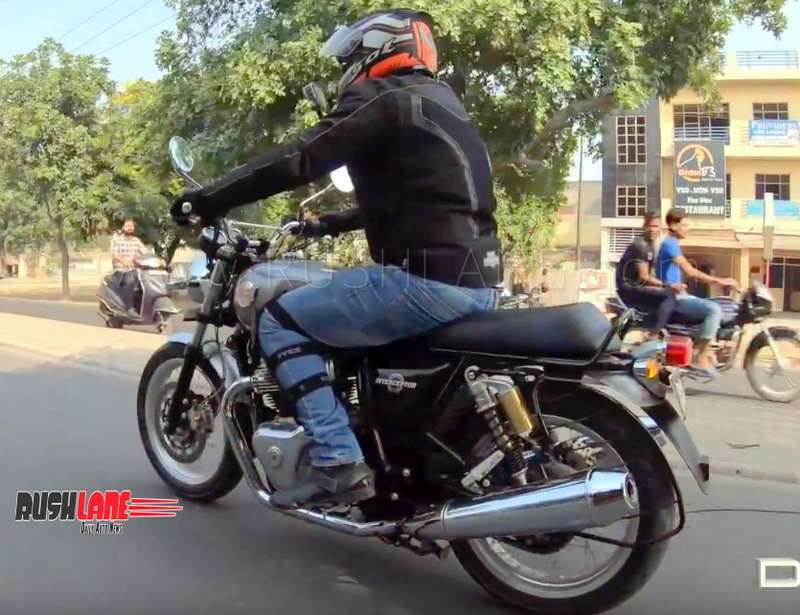 Royal Enfield 650 aftermarket exhaust video – Are these loudest? Aftermarket Red Rooster Racing exhausts for Royal Enfield 650 Twins are priced at Rs. 6,500 per pair. Royal Enfield motorcycles have always attracted after market modifications. The same is true for their just launched 650 Twins. As soon as Royal Enfield Interceptor and Continental GT 650 were launched in India in late 2018, after market modifications started pouring in. Red Rooster Performance recently launched an exhaust system for the Royal Enfield Interceptor 650. Even as all other Royal Enfield models are noted for their signature thump, it is even more pronounced on RE Interceptor and Continental GT while the new aftermarket exhaust set up from Red Rooster takes this sound up a notch or two when the engine is revved. These Red Rooster exhausts are without dB killers which are otherwise installed to keep noise levels at permissible limits by suppressing loud backfires. In the case of two wheelers, the dB limit is 80 dB which when removed, causes the vehicle to emit ear shattering back fire. Red Rooster exhausts do just that, producing a loud rumble. A pair of these Royal Enfield Red Rooster exhausts are priced at Rs.6,500. The exhausts are slip on type, stock replacement units, and are lighter in weight as compared to the regular exhausts seen on the stock Interceptor 650 – thereby reducing overall weight by upto 12 kgs. This reduced weight enhances performance of the bike by allowing for better pick up and acceleration. Listen to the exhaust roar in the video below. Though these aftermarket exhausts are the height of fashion, it may be recalled that these are illegal. Earlier this year, Supreme Court had ruled that any modification on vehicles that varies from the original specifications of the manufacturer is considered illegal. The cops along with the RTO officials are targeting bikes fitted with these aftermarket exhausts and while in some cases the bikes have been seized, there are also cases where the exhausts have been destroyed completely. Royal Enfield Interceptor 650 and the Continental GT 650 are priced at Rs. 2.49 lakhs and Rs. 2.69 lakhs respectively, ex-sh. The motorcycles have gained in popularity in the Indian two wheeler segment.